President Barack Obama’s speech introducing his long-promised executive action on immigration centered on deferring deportations for nearly 5 million people. But the president also made substantial changes to how officials will deal with the other roughly 6 million people in the country without proper documentation. Most significantly, he issued a directive to end the controversial program that required local law enforcement to hold immigrants they arrest for deportation. Known as Secure Communities, the program required local law enforcement agencies to submit biometric information from anyone they arrest to a federal database. 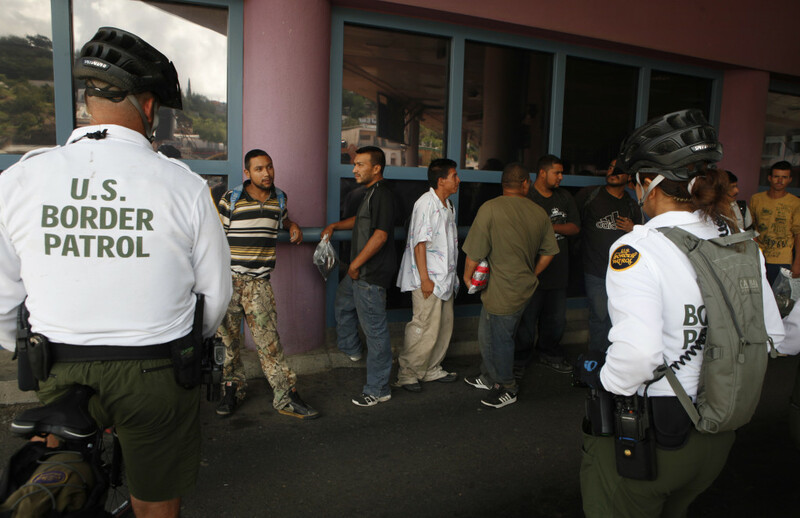 Immigrations and Customs Enforcement officials, known as ICE, then submit detainers requesting local authorities to hold those they believe are in the country illegally until they can be picked up for deportation. But the program also swept up others, including domestic violence victims, people picked up for minor traffic violations and even U.S. citizens — leading to a backlash from human-rights groups. Local law enforcement agencies also turned against the program, saying it hindered their efforts to fight crime because immigrant communities no longer trusted them. The new program will still require law enforcement agencies to submit fingerprints to the FBI for criminal background checks. But now, ICE officials should only issue detainers for those in the country illegally who have been convicted of serious offenses or those who pose a risk to national security. It’ll be called the Priority Enforcement Program — “PEP” for short. The administration’s policy shift comes as an increasing number of cities and counties have already refused to cooperate with federal immigration authorities on Secure Communities. Courts have also raised concerns about the program’s legality. In Oregon earlier this year, a court ruled that a county sheriff violated a woman’s rights when it decided to hold her for immigration officials beyond when she would have ordinarily been released. To avoid future legal complications, Johnson said that ICE would no longer ask law enforcement agencies to hold someone beyond the point that they would be released. Instead, ICE will ask that authorities only notify them when they plan to release someone in custody that might be of interest. Officials can still, however, issue a detainer if they believe they have probable cause to deport someone who hasn’t yet been convicted, which has troubled some immigration attorneys who worry that the policy could still be used to deport people who are lower priorities. On Friday, immigration advocates said it’s still unclear how PEP will work in practice, and added that they will be watching closely to see who the government targets under the new program. In a separate memo, the administration also made significant changes to the kinds of people that immigration officials should detain and deport. Johnson, the Homeland Security director, announced a new department-wide policy that requires all immigration officials — in both ICE and Customs and Border Patrol — to focus on arresting and deporting those who are a threat to national security or have been convicted of gang activity or felonies, as well as those apprehended attempting to enter the U.S. The administration has tried this before — it’s called prosecutorial discretion — without much success. In 2011, ICE issued a memo directing its officials to concentrate on deporting those who pose a threat to public safety. But the memo didn’t trickle down, and the government continued to deport people it had officially deemed low-risk. Only 26 percent of people against whom detainers were issued last year had a criminal record, according to federal data compiled by TRAC Immigration. That’s in part because the 2011 memo also didn’t apply to Customs and Border Patrol agents, who operate within 100 miles of every border and are responsible for the bulk of apprehensions. This new memo applies to all immigration officials and instructs them to consider the guidelines not only for deportation orders, but also in other law enforcement decisions, such as who to stop, question and arrest. Whether it sticks this time will depend on how its enforced, advocates say. “The challenge for the agency will be to ensure that these policies are embraced and adhered to by agents in the field,” said Ben Johnson, executive director of the American Immigration Council. 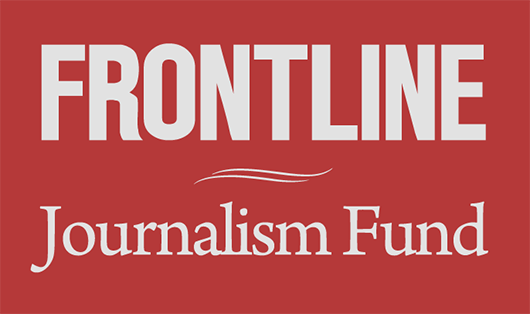 FRONTLINE and the Investigative Reporting Workshop take a close look at the Obama administration’s controversial get-tough immigration policy, Secure Communities (2011). Is It Too Late for Obama On Immigration Reform? 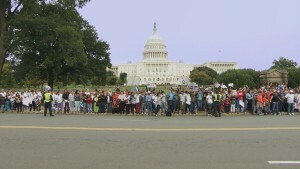 More from the Filmmakers: "How Democracy Works Now"
What Makes Opponents of Immigration Reform So Effective?